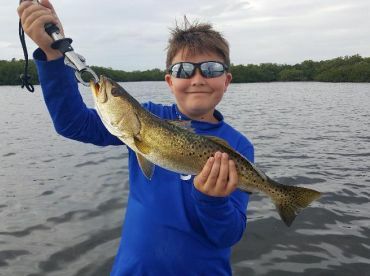 Boca Grande definitely has plenty to offer to fishermen of all shapes and sizes. 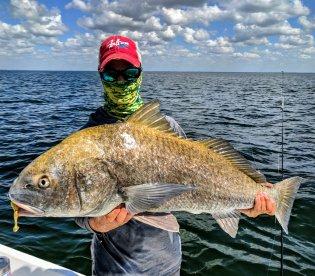 Thanks to the temperate climate, Boca Grande fly fishing is great year round, with lots of Redfish, Snook, Cobia, King Mackerel and others. 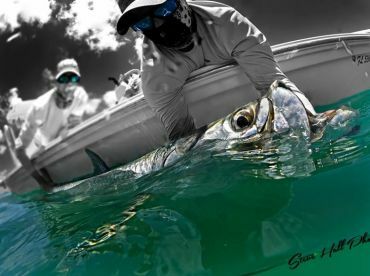 Tarpon fishing is a special attraction for a big part of the year, and a lot of people visit for that reason alone. 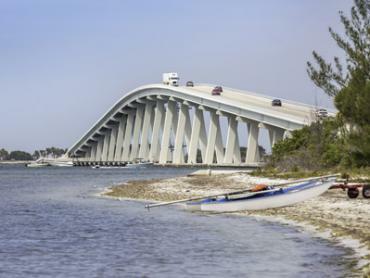 What Can I Expect from a Fly Fishing Trip in Boca Grande? 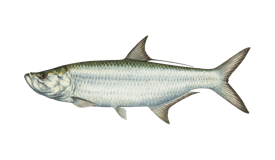 If you plan on catching Tarpon on the fly, the first thing to expect is a decent challenge. Its acrobatics and sheer strength will make besting one an experience to remember. 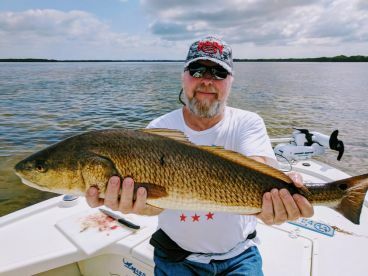 The best time to catch one on the fly is anywhere from May to July, because you will be able to cast to some large schools in waters less than 20’ deep. Make sure to use 11 or 12 weight rods as you might run into fish that weigh more than 200 pounds. While not as difficult of a challenge as catching a Silver King on the fly, Cobia fly fishing will definitely keep you on the edge of your seat. 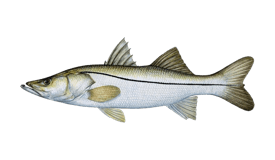 Cobia are a solitary species, and are often found alone or in small schools. They are also very aggressive, and you can count on them putting up a fight on a 10-12 weight rod. In the fall months that follow, sight fishing in the back bays becomes a great way to catch fish on the fly as the tides start lowering. 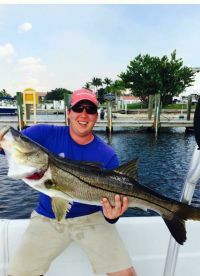 Large Snook can prove an especially worthy adversary in these parts, and there’s a lot of them to go around. 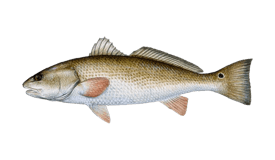 In fact, up until the end of November, don’t be surprised if you find more Snook than there are Redfish in the water. 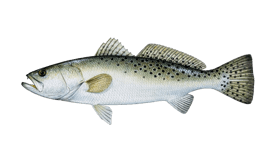 Since most charters do not include fly fishing gear, you would be well advised to bring your own. As previously mentioned, it might be best to stick with 11 or 12 weight rods, especially if you’re going after the Silver King. When it comes to flies, Toad and Cockroach fly patterns, among others, are popular with local experts. 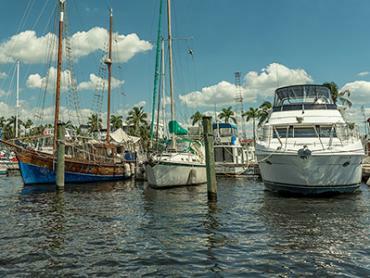 Inshore fishing in Boca Grande will usually cost you somewhere around $100 an hour. 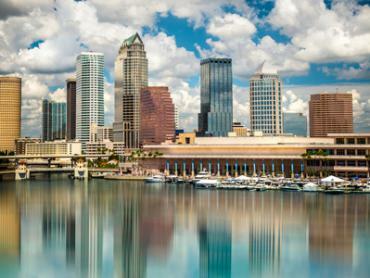 Nearshore trips are somewhat more expensive, and go for up to $150 an hour. 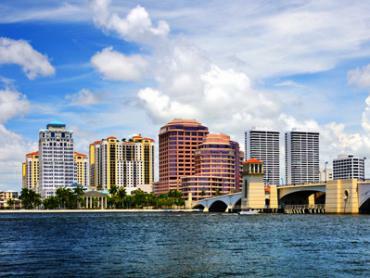 In some cases, you will have a discounted rate when opting for a full day of fishing or more, which can save you some $50-60 in most cases. 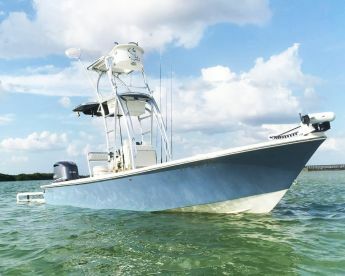 A lot of Boca Grande fishing charters will also offer special packages aimed at Tarpon hunting, so you should keep that in mind if the Silver King is your main target.